We’d be happy too, if we had won a Vitamix Professional 750. 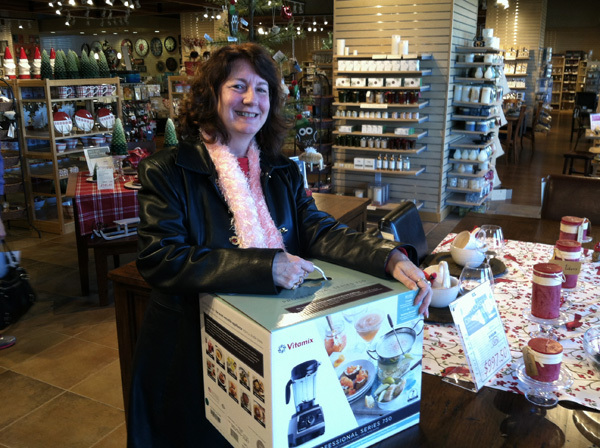 Congratulations to Georgia W. who was the winner of our recent Vitamix giveaway. To the other 500 or so entrants, we hope you win next time! Previous Post Zen Blades knife sharpening at Kaboodle..